The National Council on Disability (NCD) released a series of reports addressing the Implementation and Impact of the Americans with Disabilities Act on July 26, 2007. 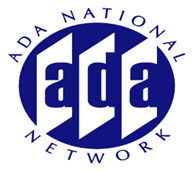 These reports address the impact of the ADA upon employment of persons with disabilities as well as address the implementation of Title II and III of the ADA from the perspective of people with disabilities and entities covered by the ADA. It has been 17 years since the passage of the ADA and as anticipated these reports identify what has worked and what has not and put forth recommendations for furthering the promise of the ADA at all levels. Join this session to learn more about the findings in these reports and what they will mean to the future of the ADA.